Whenever we have the opportunity to talk with aspiring artists looking to start with architectural visualization, we often advise them to practice as much as possible to develop their skills. From that practice, you will not only learn more about Blender but also start building your personal portfolio. 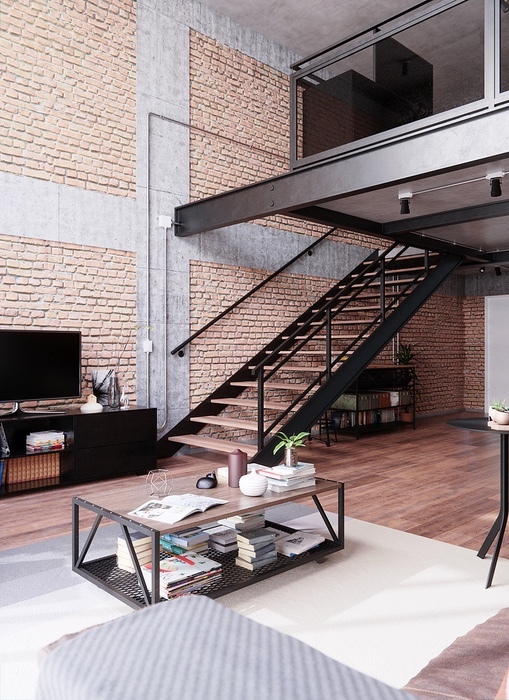 A great example of a practice exercise about architecture with Blender is this incredible Industrial Loft by an artist called daddario90. He posted the project with more than 30 renders in the Blenderartists forums. The main reference for this project is an existing Loft in Vila Madalena, Spain. For this particular project, the artist used Blender 2.8 and Marvelous Designer to create all base mesh. About the render, in Cycles, the artist shares a few details related to settings and workflow. For instance, each scene uses about 2000 samples to get a noiseless render. That required in average 2 hours to render for each process. Another interesting point is that he also uses extensively the exposure and gamma settings in Blender to tweak lights. The same technique appears on several other top architectural visualization artists workflow. If you still don’t make use of these settings, make sure you try in your next project. It really makes a lot of difference to adjust lights using the exposure and gamma. Visit the thread to check all the beautiful images of the Industrial Loft.